One full function UART port, and can be configured to two independent serial ports. One USB port can be used as debugging and firmware upgrading. Audio channels which include a microphone input and a receiver output. 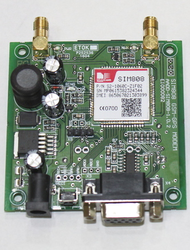 The SIM800A modem has a SIM800A GSM chip and RS232 interface while enables easy connection with the computer or laptop using the USB to Serial connector or to the microcontroller using the RS232 to TTL converter. Once you connect the SIM800A modem using the USB to RS232 connector, you need to find the correct COM port from the Device Manger of the USB to Serial Adapter. Then you can open Putty or any other terminal software and open an connection to that COM port at 9600 baud rate, which is the default baud rate of this modem. Once a serial connection is open through the computer or your microcontroller you can start sending the AT commands. When you send AT commands for example: 'ATr' you should receive back a reply from the SIM800A modem saying 'OK' or other response depending on the command send. The SIM800A requires huge power, so use a 12V DC 2 to 3 Amps adapter, any wrong adapter might cause damage also to the modem. On the board there are Tx(D) and Rx(D) pins, near the 5V and GND pins, don't ever connect anything to them or send any command to them, they are not the TTL pins for serial communication, they are for upgrading the firmware, and if you connect them to the microcontroller or computer, the firmware will get damaged and the module will stop working. Please read carefully the marking on the SIM card tray on how to open or close, those are made of brittle plastics and will break if you put too much pressure on them, so be very gentle and careful while removing or inserting SIM Cards. Don't tight the antenna too much, the screw threads might get damaged by excessive or over tightening of antenna. Please don't touch the connections or components and always put the modem on a non conductive base. 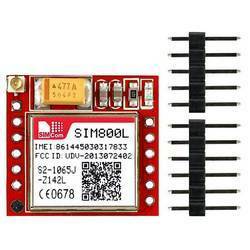 Based on the latest SIMCOM SIM808 GSM/GPS module, this board offers cellular GSM and GPRS data along with GPS technology for satellite navigation. 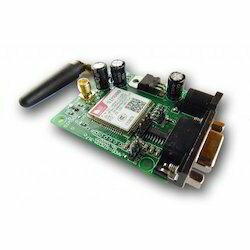 The GPS receiver is incredibly sensitive with 22 tracking and 66 acquisition channels, and also supports assisted-GPS (A-GPS) for indoor localisation. The module is controlled by AT command via UART and supports 3.3V logical level. It comes with a mini GPS and GSM antenna. 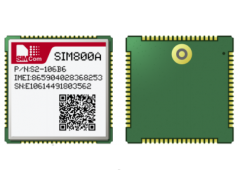 SIM800 supports Quad-band 850/900/1800/1900MHz, it can transmit Voice, SMS and data information with low power consumption. Featuring Bluetooth and Embedded AT, it allows total cost savings and fast time-to-market for customer applications. 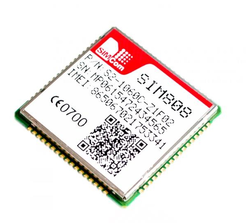 SIM800 modules are upgraded version of its previous successful GSM/GPRS/GPRS module series SIM900. 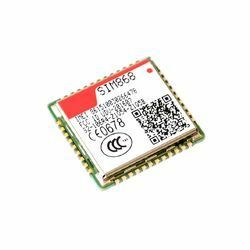 SIM800 GSM modules have inbuilt Bluetooth stack compliant with 3.0+EDR FM radio support, and the interface is accessible using AT commands. 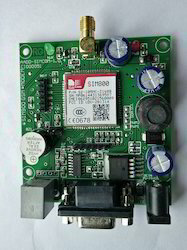 SIM900, SIM900A modules operate from 3.2V to 4.8V supply range. 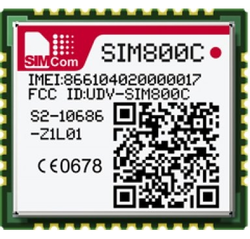 Same AT commands used for simple call/sms functionality of SIM900 can be used with the SIM800 modules, but SIM800 series have added AT command set for supporting extra features like bluetooth. 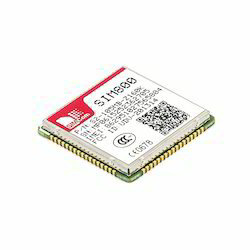 Looking for Simcom GSM GPRS Module ?